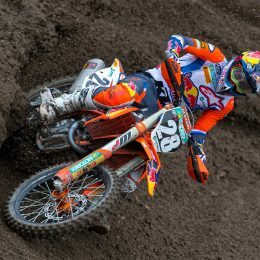 To dismiss the KTM PowerWear gear as simply an array of products for ‘orange heads’ is to do it a disservice. Naturally there is everything a KTM fan or rider could wish for by way of a compliment to their ride, but there are also subtle options and one of the strongest aspects of the assortment has been the official associations with top end premium brands like Alpinestars, TLD, Schuberth, SIXS and Ogio. 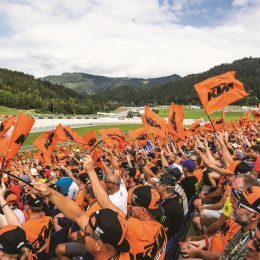 ‘Emphasis’ could be a word ascribed to the 2018 KTM PowerWear line-up but it is also a title for a curious new segment on training and sporting garments; we’re talking breathable, wind and water repellent qualities in T-shirts, hoodies, jackets, shorts, pants, tank tops and beanies (even a towel) for men and women. “This is really functional and with material and performance for working out. It is really new for us,” says Haist. Think ‘distinctive but also subtle’ KTM training gear (most of it is black) and you’ll be on the right lines. It’s a good idea. Many of the company’s key customers are offroad motorcyclists and therefore know the benefits of keeping in shape and doing a level of exercise to remain loose and strong on the bike. Some cool camo styling is the only departure from the dark shade and most of the clothing boasts stretch fabric and the kind of quality suited to take some abuse. Like the look of what you see at the track? Then visit your local KTM dealer and get the order made during the summer and autumn months before it runs out. 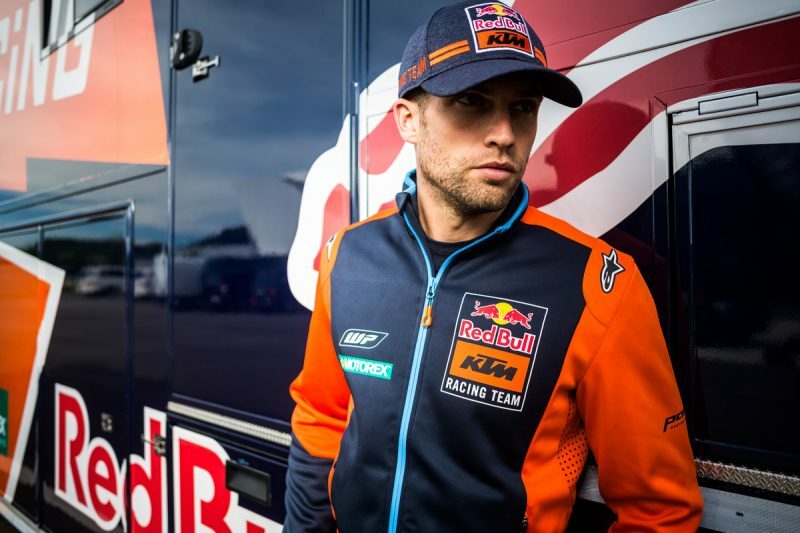 Helmets, neck braces, back protectors and body armors are just some of the pieces seen in KTM colors over the last few years but for 2018 the KTM PowerWear department have explored the burgeoning relationship with renowned company Alpinestars to bring the Tech-Air™ gears into the collection. 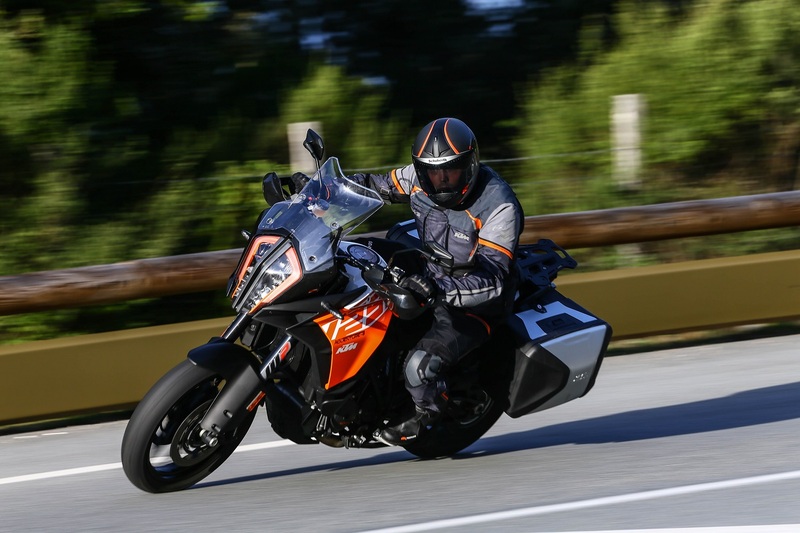 KTM’s expanding motorcycle portfolio means that touring and travel riding have become even more accessible due to the various specs of KTM ADVENTURE bikes and the awesome KTM 1290 SUPER DUKE GT, so KTM PowerWear is rushing to catch up thanks to premium riding gear with countless sophisticated features ensuring that KTM riders are always perfectly equipped wherever the journey may take them. 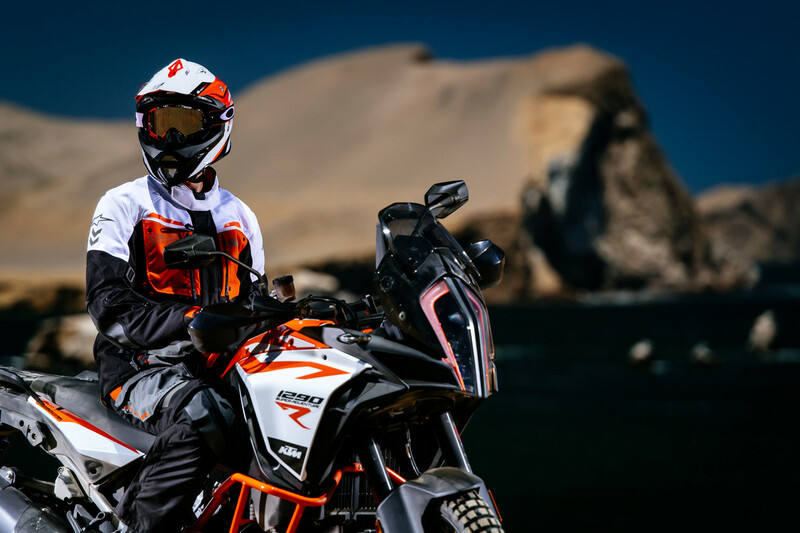 At the forefront of the 2018 KTM PowerWear assembly are the special Managua GTX Tech-AirTM Gear (more street oriented) and the Durban GTX Tech-AirTM Gear (offroad inclined and with a hydration bag as part of the kit). 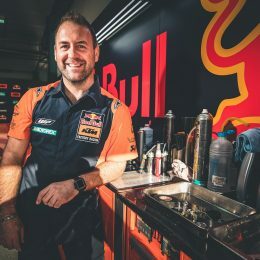 Suping up your KTM or the KTM PowerParts components that have been already added to the bike, KTM PowerWear is the next (and last) stop to completing the overall look. Have a wander into the cave. Can we get a catalog mailed to us? 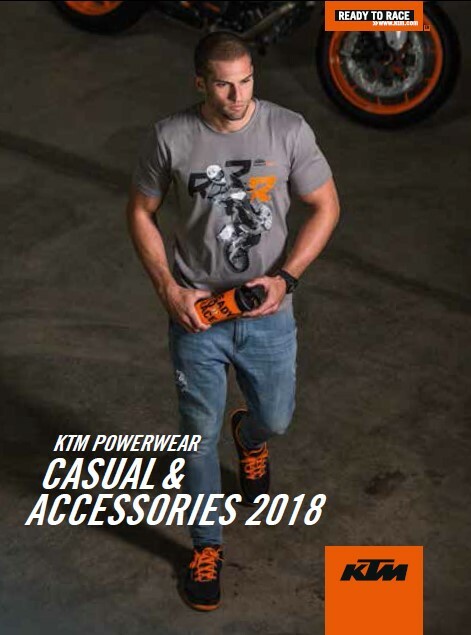 The new catalogs are available at your authorized KTM dealer. Hello, is possible to download PDF from your website, please?